Reviewing for Exposé sometimes brings odd music my way. The latest is Moog Maximus by The Bongolian aka The Big Boss aka Nasser Bouzida. 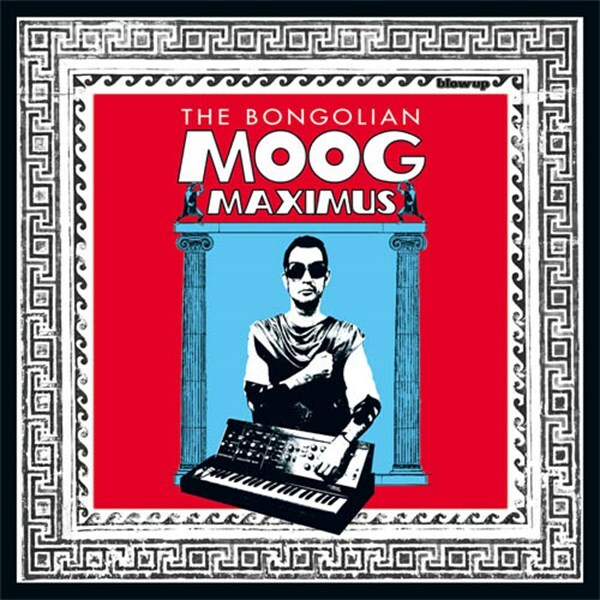 Moog Maximus is his fifth album as The Bongolian and it continues his musical quest taking the listener on a fractured time journey starting in his vision of ancient Rome or possibly the movie set for Westworld. Armed with his bank of vintage synthesizers, bongos, and heavy grooves, The Bongolian treats us to a vast array of funk, soul, Hammond beat, jazz, and sci fi boogaloo across the twelve four to five minute tracks. These sound like great dance tracks for a party, but for sheer listening pleasure I cannot imagine listening to this album more then once or twice, unless there is a long time between. Sometimes it sounds like soundtrack music for 60s epic productions or spy films, other times it could be roller rink music, an alternative sound track for Miami Vice, or an undiscovered Booker T and the MGs' track. I am not sure how this all fits into the Exposé world, but it could appeal to some. If interested you can find out more at the site below.